Your first trip to Disney World can be a truly magical and memorable one but take it from us, planning is a must! Even if you’ve been before but it’s been a few years, read on as so much has changed that you might find yourself bewildered and late for a very important date! Disney World is huge and spans 40 square miles (roughly the size of San Francisco) and has 4 theme parks (6 if you count the 2 water parks). And navigating through the transportation, parks, FastPass+, My Disney Experience App, restaurants, fireworks and shows can be a little daunting and a big waste of time if you’re not prepared! Good news is there are lots of tools that can help you along the way and we hope that our tips and tricks can help you get started. Having the honor of planning countless trips for our Magical Tripcations clients has given our team an edge when it comes to the ins and outs of heading to the most magical place on earth. Check out our top 10 tips for your first trip to Disney World. With more that 25 unique Resort hotels, there is likely one that will fit your needs and budget. Staying on property is well worth it and not as expensive as you may think. Our team of travel planners have stayed at hotels both on and off property and hands down recommend staying on the resort property. Disney has various resort levels ranging in price from value, moderate to deluxe that can fit most any budget. No matter which Resort hotel your family picks, all guests staying at a Disney World Resort enjoy some pretty fabulous perks! Perks that can save you time, hassle and stress and make your trip truly magical. All of these perks are complimentary with your Resort hotel reservation! Check out our blog on “Disney Speak” to help you get up to speed on the most used Disney terms. OK, so we’ve suggested from our own trial and error that staying at a Resort hotel is a great way to go but doing a little research will help you both in finding the perfect hotel to figuring out the WORLD. After all, it is called Disney World for a reason! Hopefully, you will spend a little time talking with your Travel Planner as this is the quickest way to get the low down on all of the resorts and parks. 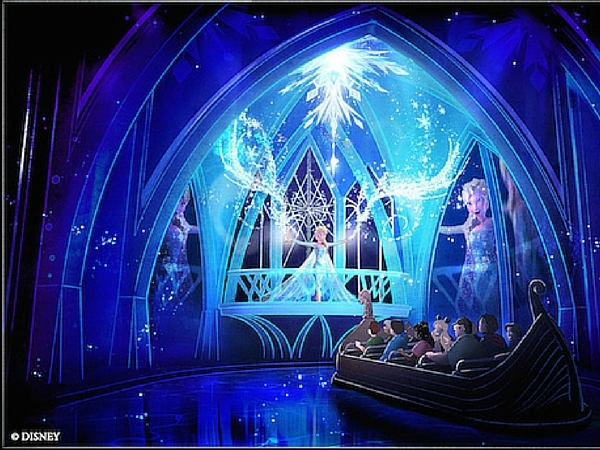 But, we also suggest visiting www.disneyworld.com to check out what each of the 4 parks has to offer as well as the various types of ticket you can select for your party. You can look at each park individually and review the park map, attractions, shows and get an idea of when each of the parks will be open while you are on your vacation. This is so important as you begin your planning process so that you can take advantage of Extra Magic Hours or anything special that you want to see and do on your vacation. Why is it so important to make advanced reservations of any kind? Let’s tackle Advanced Dining Reservations (ADRs) first. Unfortunately, if you have a particular restaurant that you want to visit and choose not to make an advanced reservation, it is almost impossible to simply walk up to the restaurant and request a table. There are lots of reasons for this but primarily it is because of the popularity of the Disney Dining Plan. You may have a VERY long wait if you can score a table at all. The other reason for this is because guests who are staying at a Walt Disney World Resort Hotel and have already booked their rooms, can begin making their dining reservations 180 days prior to the first date of their visit plus the next 10 days into their vacation. And trust us, resort guests are up and calling and/or online to snag their favorite restaurant at 6 a.m. EST the moment their window opens! Guests who are not staying at a Walt Disney World Resort Hotel can make ADRs 180 days in advance of their trip but only 1 day at a time. If you want to make ADRs for every day, you will need to do that 1 day at a time beginning at your 180 day mark. So, maybe dining at the most popular restaurant is not high on your priority list but NOT waiting in line 300 minutes for the newest attraction IS at the top of your list as it should be! Every moment at Disney World is precious and spending time planning out your list of must-do/see attractions is so important! FastPass+ is your ticket to saving hours of time waiting in line for the most popular attractions and this service is included with your theme park ticket. Resort guests are able to make 3 advanced FastPass+ reservations 60 days in advance of their check-in date and off property guests can make their reservations 30 days in advance. Truly, this is one of if not the most important tip for your trip to Disney World as lines during peak season can grow to 120 to 300 minutes for the most popular attractions. However, even during off peak or slower times of the year, popular attractions like Soarin’ or Seven Dwarfs Mine Train can be 60 to 90 minutes at any given time. Skip the FastPass+ reservations in advance and you might miss out on some of your must-do attractions or find yourself waiting in line with a few hundred of your friends…for hours. This isn’t quite so magical when you could SKIP ahead of the line and on to your ride through Space Mountain. A trip to Disney World is unlike any other destination you will travel to and there are many tips to packing a day or park bag that will help you throughout your day. For one, the weather in Florida can be very hot and humid not to mention come with the occasional shower or down pour. It’s important to plan accordingly for your health and comfort. We always suggest having access to a weather app on your smart phone to track the weather if the clouds begin to darken; however, we also suggest that that rain does not have to ruin your day! Pack smart and with a few of our suggested items tucked in your backpack and you will be able to weather any rain shower, ease your aching feet and save yourself from a terrible sunburn. It’s also a good idea to check the local weather each day before heading out to the park so that you are prepared. Disney has a nifty, free app that you can download to your smart phone and is a terrific tool to use in planning your trip as well as during your vacation! The My Disney Experience App is a portal to all of your plans and reservations that you’ve made ahead of time and where you can make changes on the go should you need to adjust a FastPass+ reservation. It is very user friendly, free and packed full of helpful information to help you find a restroom, character location or quick service restaurant. It also has real-time attraction wait times as well as events scheduled for the day such as parades, stage shows and fireworks. We suggest downloading the app before you leave on your vacation to become familiar with all of the helpful information and how it works. Disney provides free WiFi in the parks and throughout the resort but you will find that your phone uses battery quickly so there are also charging stations located throughout the parks so don’t forget your phone cord! A trip to Disney World would not be complete without a hug from Mickey, Minnie or any of your other favorite Disney Characters but knowing where to find them before you go will help in your planning. The days of finding your favorite character roaming throughout the park are all but gone but the spontaneous chance meeting of Alice or Mary Poppins can still happen so always be on the lookout! Today, most of the characters can be found in their own homes with very organized lines and fancy meet and greet locations. Don’t forget your camera and autograph books to make the most of your meet and greets as characters will pose for a photo, sign your autograph and of course, provide a great big hug! 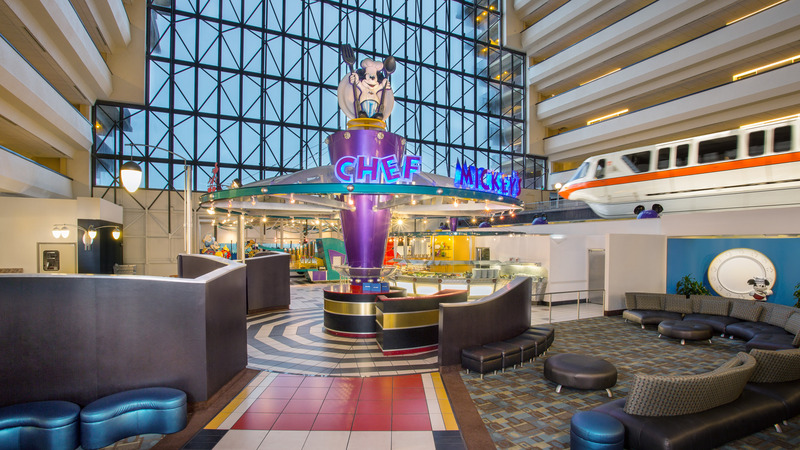 One strategy is to utilize the wonderful Character Meals where you eat a nice breakfast, lunch or dinner and the featured characters visit your table and interact with you for a bit, pose for photos and sign autographs which saves you time waiting in line at the character meet and greet locations. But if meeting characters is high on your must-do list, make a list of who you would like to meet and ask your Travel Planner for the various options to meet them. As mentioned before, all guests enjoy quite a few free perks such as the FastPass+ service with advanced reservations as well as transportation throughout the resort. But there are also many other free things that you should seek out on your trip! Free cups of ice water from any counter service location that offers fountain drinks. You do not need to order any food or other beverage and feel free to ask for a large cup! Free celebration buttons – just stop by guest services at your resort hotel or find them throughout the parks in various locations. Just ask any Cast Member and they’ll point you in the right direction. From a birthday, graduation to a wedding anniversary, Disney is excited to celebrate with you! 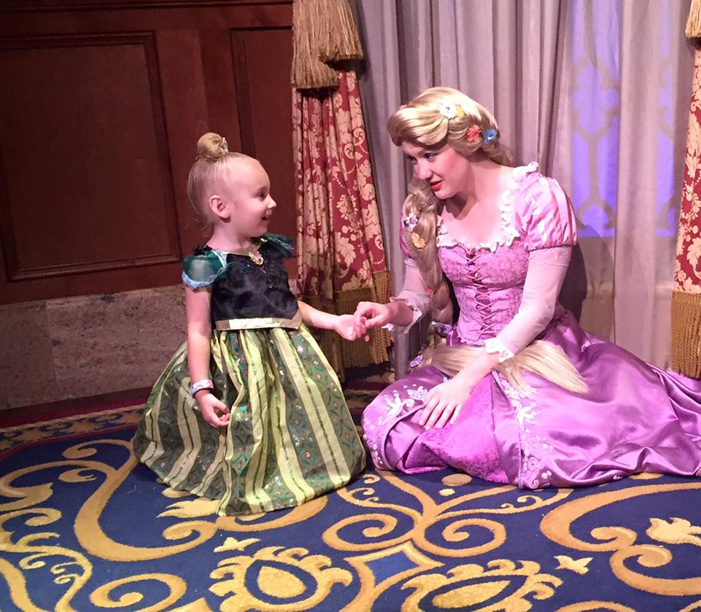 Be prepared to be recognized by cast members throughout your day with the occasional “Happy Birthday” or “Congratulations, Princess” which is so much fun! Free theme park maps that make great keepsakes or items to add to your scrapbook! There are so many ways to capture the magical moments on your trip to Disney World and one of the best ways is through photos! Disney offers the PhotoPass service with various options. You can purchase Memory Maker ($149 if purchased 3 days before your trip or $169 if purchased on property) which will give you digital access to all of your photos taken by Disney Professional Photographers at fabulous locations in the parks. This includes photos & videos from select attractions and character meet and greets which are yours to share on social media or print at your local photo store. Or, if you do not purchase the Memory Maker package, you will still have the option to purchase individual photos taken by photographers. They will give you a PhotoPass card so that you can locate your photos online and you can purchase select ones if you choose. However, any Disney PhotoPass Photographer or Cast Member will take your photo with your camera for free! They don’t mind so don’t be bashful and just ask! The most important thing to keep in mind before you head off to Disney World is to realize that it’s big and so full of wonderful details. There is no way that you can take in everything there is to do in one trip even if you plan to stay 2 weeks! So, enjoy the moments and take in all of the marvelous Disney details. Take breaks so that you can rest and stay hydrated throughout the day. Enjoy special treats like noshing on a Mickey Ice Cream Bar while watching a parade or sharing a spot in the shade with your loved ones and friends. The best part of a trip to Disney World is walking away with a treasure trove of memories but you have to slow down to soak it all in! We hope that this list of top 10 things to know before your first trip to Disney World is helpful! When we say that we are honored to plan Magical Tripcations for our clients, we mean it. We have a passion for all things Disney and are so excited to share it with each of you! We can save you hours of research by putting our experience to work for you and for FREE! What’s on your Disney bucket list? How can we help you plan an unforgettable vacation to the most magical place on earth? Contact us today and let’s start planning!